Before I started teaching Nia I had a corporate job. I worked with a woman who loved oatmeal. If you have read any of my Oat series (Oat series? Really? How did that happen?) you will know that I do not like oatmeal. She, like many others, tried to educate me on the fact that “instant” oatmeal is not really oatmeal and she said the best is steel cut oats. She told me what brand she buys and she said that she soaks them overnight because that is what makes them so yummy. Since then I have heard many people say the yummiest way to eat oats is to soak them. So I have heard of soaking oats before, but I thought that was for the flavor. A friend of mine posted a comment on one of my oat posts and she mentioned pre-soaked oat cereal. So I went to the website she mentioned to check it out. That led me to discover some people believe another reason to soak oats is for better nutrition. After reading her comment I was excited thinking I would have something else to post about. I quickly looked into soaking oats, guess what I found? If you think about it you will know . . . . . I found conflicting information! “No”, you say, right? I mean there is never another opinion. Geez. So I though maybe I could look into the health benefits and do a post and mention the two different trains of thoughts. Then I thought, no, my poor readers, what is it with me and oats? But then, I was talking to one of my Nia students and explaining to her about my oat series and I mentioned soaking oats. She said she in fact, had oats soaking right that minute. When I asked her why she said because that is what makes them yummy and you can eat them raw when you soak them. So, while yes, it seems to make the oats yummy, and yes, soaking them allows them to be eaten raw, some believe there is a nutritional benefit to soaking them. While I somewhat felt there might be a need to do a post on soaked oats, I thought it odd that my little quest for breakfast had grown into a series of post. I wasn’t going to post about soaked oats, but then I realized people might want to know. So bear with me for two more oat posts (at least I think it will be just two more). There has to be at least two more because there is conflicting opinions. One post I’ll call “pro-soaked oats” and one I’ll call “con-soaked oats”. This is the “pro-soaked oats” post. The idea is that oats should be soaked to remove or neutralize the phytic acid. Phytic acid binds to some minerals and blocks their absorption. There is a popular book out there, Nourishing Traditions, that states it is necessary to soak grains. It states that eating bran that has not been properly soaked will help with regularity at first, but could possibly lead to irritable bowel syndrome along with possible mineral deficiencies and bone loss. The soaking allows for the break down of the phytic acid so that the minerals will not be bound and they will be allowed to be absorbed. The book says an improvement in grain nutrition is achieved in “as little as seven hours”. Body Ecology states that grains need to be soaked for at least 8 hours, with 24 being even better. Other information I have found on the internet states at least 12 hours. So it seems there is a difference in opinion with how long oats should be soaked. Most agree that oats need to be soaked in water and something with acidic properties, but here again opinions differ. Some say to use water and a dairy product such as milk or yogurt and some say that dairy is not good because while it might help with breaking down the phytic acid in the grain it will cause acid levels to rise in the body. Some also say that the calcium in the dairy DOES NOT help break down the phytic acid. That is in OATS only. Since I started this whole series because of oats and because getting into all the other grains would make this a huge series this post is focused on OATS. So some information suggests to use lemon or vinegar as the “acid”. A lot of comments from people who soak their oats state that they just use warm water. The science behind the idea of soaking sounds simple enough; a seed or grain is designed not to be penetrated until it is ready to sprout. It is ready to sprout and release its nutrients when it has had enough time to be moist and warm in a slightly acidic environment. Eating grains that have not been soaked just drops them into your system when they are not ready making them more difficult to digest in addition to the risk of the pyhtic acid binding with nutrients and not allowing the body to absorb them. Makes sense. A grain’s own defense system keeps it safe and locked up until it is in the right conditions. Oats, water (enough to cover the oats), warmth, “acid”, time. Now the only thing I have actually seen people agree on is the oats. Ha, funny, but true. Now that I think about it they might not all agree on what KIND of oats. The TEMPERATURE of the water is from just above body temperature to warm tap. The “warmth” as in a place to keep it — goes from the refrigerator (which they are not saying is warm but is just showing how different the “recipes” are) to a warm oven, the “acid” is from lemon to a dairy product, and the time, well, from 30 minutes to two days. It is crazy. So it seems pretty straight forward. Grains designed to protect themselves until ready to germinate need the ideal conditions in which to do so and then they will happily release all kinds of healthy benefits. And the science is there to prove that phytic acid binds with minerals which would keep them from being absorbed in the body. Now all you have to do is be organized enough to remember to soak your oats anywhere from 30 minutes to 48 hours before eating them. 🙂 Or you can tune in to my next post and see what some people have to say about why there is no need to soak the oats all the way to you shouldn’t soak your oats. Do you soak your oats? Do you do it because you think it increases their nutrition? Seems as if my quest for something to eat for breakfast before teaching my Nia classes has turned into somewhat of a series on oats. I know a body needs to eat to break the fast, but I don’t always have time to eat something before Nia in the morning. I wanted something quick but healthy. Oatmeal is always said to be one of the best breakfast to have, but I don’t like oatmeal. I don’t think eating a processed breakfast or snack bar is the answer I was looking for. 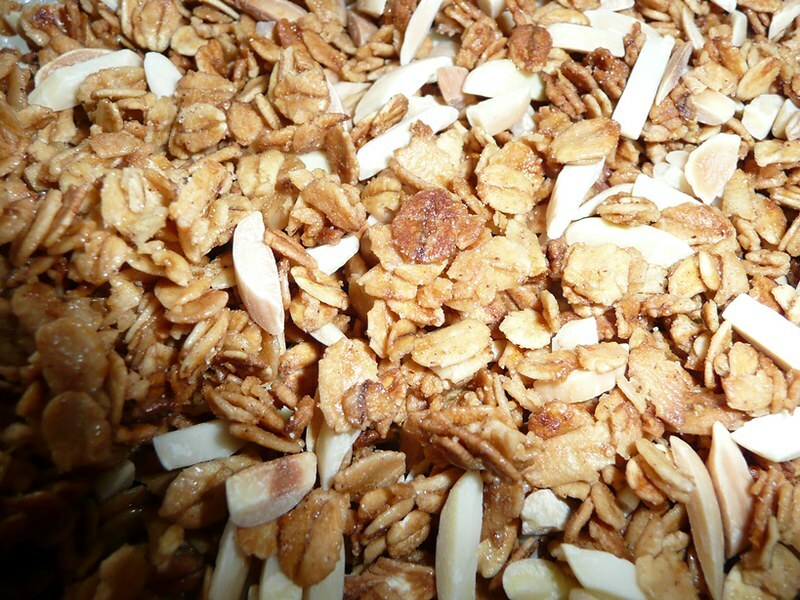 I was thinking granola even though I used to not like granola, I have found a few that I like, but most often than not they have canola oil in them so I have been looking for recipes where I can make my own. I found one that I like after I did a little bit of adjusting. The whole process had me wondering about oats and oatmeal. When I did a search of nutrition one of my favorite sites came up with some information on oats I found totally interesting. As usual I learned something totally new to me. I hear a lot more about Gout lately than I used to. And the information about oats and gout had me looking gout up what gout is again. I always forget it is a form of arthritis. This type of arthritis that occurs when uric acid builds up in blood and causes joint inflammation. So just like other types of arthritis there can be flare ups. With the different type of gout the flare ups are different. One joint is affected by pain and inflammation in the case of acute gout, but in chronic gout it can be in more than one joint. While they know what causes gout, they don’t know what causes the cause. Too much uric acid in the synovial fluid causes crystals to form. The crystals are what cause the pain, swelling and inflammation. But they don’t know why a body might make too much uric acid or have difficulty getting rid of it. They have a list of what they consider to be risk factors. Risk factors include: being over weight, consuming too much alcohol, eating too much red meat or fish or foods high in purines. Gout is more common in males than females, although woman after menopause seem to be at greater risk. Certain medications might contribute to gout. These risk factors could be what contributed to the historical nicknames as probably kings and rich men were more often the ones overweight, drinking too much alcohol, and eating too much red meat and fish. It is the food high in purines that got my attention. Oats are high in purines. So oats might not be good for people with gout or with high levels of uric acid because they could cause gout. Even though oats are a good source of antioxidants and are believed to help lower cholesterol if you have too much uric acid you might not want to consume them every morning. Another uric acid related health issue is kidney stones. So monitoring your intake of oats, might be prudent if you are prone to high levels of uric acid. Although the site does go onto say that recent research is showing the purines in the meat and the fish are the real culprits in producing too much uric acid contributing to the health issues and that the vegetable/plant purines are not, it still might be a good idea to keep it in mind if your body is prone to gout or kidney stones. Just another thing that is so great for you, but depending upon your individual body might not be so great. I really believe that our diets are a main factor in our health. It is important to know that even foods that have so many health benefits and are so full of nutrition still could affect your health in a negative way. It really depends on your body. I think it is always a good idea to look at the diet when there are health issues. Did you know that oats could aggravate gout? Oats are easy to grow because they can grow in soil that other crops cannot grow. Oats have a lot of health benefits including fiber, antioxidants, and phytochemicals. Because of the fiber and the nutrients a breakfast of oatmeal is often recommended as great way to start the day. I do not like oatmeal and realized in writing this oat series that I haven’t bee that found of oats at all. Since it has been a while since I have not liked them I forgot that I just didn’t like them. They are really chewy. But I do believe in the nutritional value and I am happy that I like them now. I still do not believe that I like oatmeal, but I really don’t need to since there are really so many ways you can eat oats and get the benefit of all the great things they contain. blades that thinly slices them. 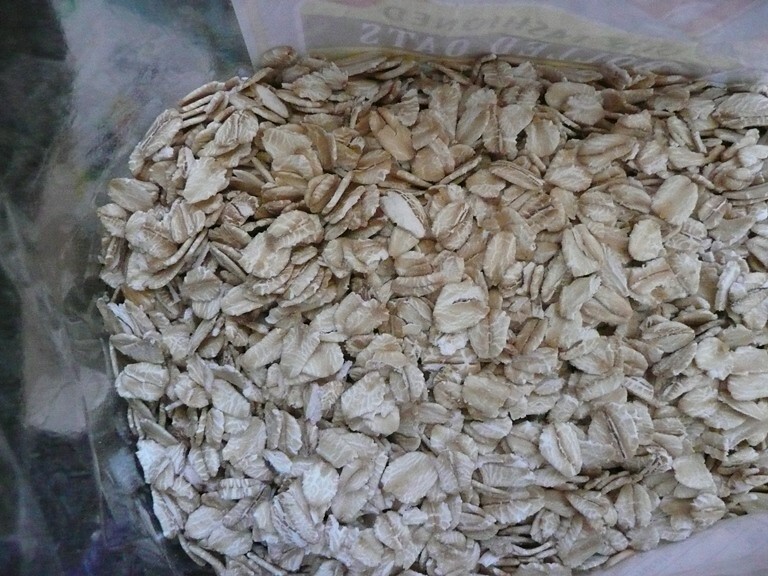 • Old-fashioned oats: have a flatter shape that is the result of their being steamed and then rolled. • Instant oatmeal: produced by partially cooking the grains and then rolling them very thin. Oftentimes, sugar, salt and other ingredients are added to make the finished product. I think that fact that oats do remain “whole” even after being processed (harvested and cleaned) is a great testament to the hardiness of this grain. While I imagine that the least healthy of the oats described above would be the “Instant oatmeal” kind because they might already come with other ingredients added, but since oats sound “superfood”y to me, I would think you would still gain some benefit from them. 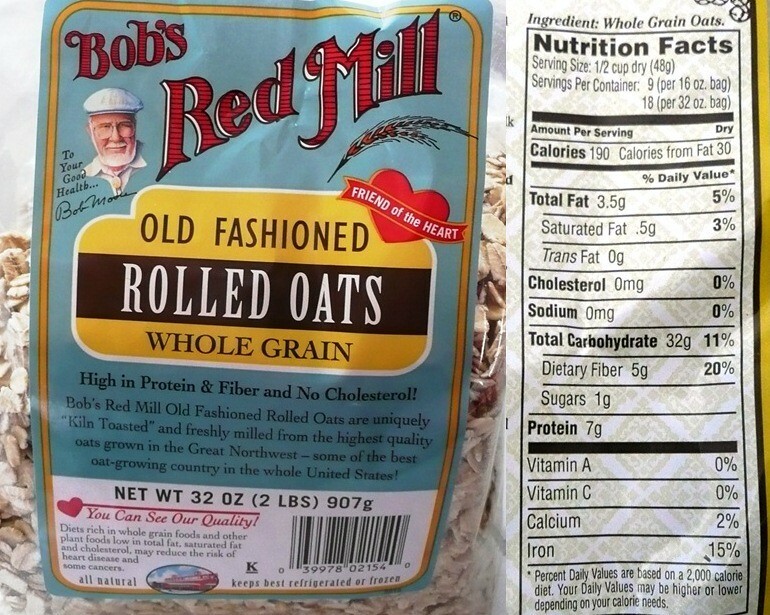 So seeing this description of oats might allow you to see how many different ways you can get oats. It seems with them available in so many different forms it would be easy to add them to your diet even if you don’t like oatmeal. It is important to eat breakfast. I don’t always have a chance to eat before my Nia class, but I have been looking to try to change that. Oatmeal is always touted as being one of the best breakfast foods. I do not like oatmeal. I used to not like granola, but I have found a few I like, but most often than not they have canola oil in them so I have been looking for recipes where I can make my own. I found a recipe that looked simple and quick and had ingredients I could live with. Oats is a main ingredient in granola so I can get my whole grain oats in granola instead of oatmeal. Do you ever wish that you would have followed your instincts? The first time I make a recipe I follow it. Then after I make any adjustments. Well, with this one I made a few measurement adjustments and as I was cooking it, I had a feeling that I should also make some procedural adjustments, but I didn’t. I thought, “No, I will do what it says and it will turn out fine.” Honestly it DID turn out fine if you want crumbly granola and that is what this recipe is. So had I really thought about it I would have realized that I wanted more like bars. I am not sure where I got this little booklet from but the recipe on the website is a little different from the one in the booklet, but that is the beauty of it you can add whatever you want to your granola. I opted for plainish because that is one of the things I don’t like about granola and granola bars they often have dried fruit in them. I don’t like dried fruit. Line a large baking sheet with parchment paper. Preheat oven to 325 degrees F.
Mix together the oil, honey, brown sugar, vanilla, cinnamon, and salt. Spread the coated oats onto the baking sheet. Stir every 5 minutes. Bake about 20. Then let cool completely then mix the oats with your add-ins. Store up to 2 weeks. Well, I will probably use less salt or omit it all together (YES! ME, saying I will use LESS salt or remove it all together . . . . hmmmmm . . . . ) And I will cook it less than I did. I think I cooked it for more than 20 minutes. I won’t do that, but it didn’t look like it was cooking at all. I will put my add-ins BEFORE it cools, maybe even before I bake it. Depends on what they are. I am also going to try using less oil and sugar. Do you like granola? Do you like oatmeal? Do you eat oatmeal? What type? **As I was making this today and using my posted recipe I realized I typed this incorrectly! It is NOT a full teaspoon of cinnamon, but a 1/4 of a teaspoon!! !